A group of year 10 students from Mary Immaculate High School who are working towards their Duke of Edinburgh Bronze Award, were given a rare insight into the mind of a record-breaking extreme adventurer this week, as Tori James called in to offer some encouragement and share her top tips. Pembrokeshire-born Tori became the youngest British woman and the first Welsh woman to climb to the summit of Mount Everest in 2007. She continues to partake in extreme adventure events and works as an ambassador for the Duke of Edinburgh Award in Wales. As the group of twenty Mary Immaculate students gathered for their weekly meeting to plan their D of E Bronze Award activities, Tori dropped by to offer her support and share her own experiences of working through the Duke of Edinburgh Award programmes. 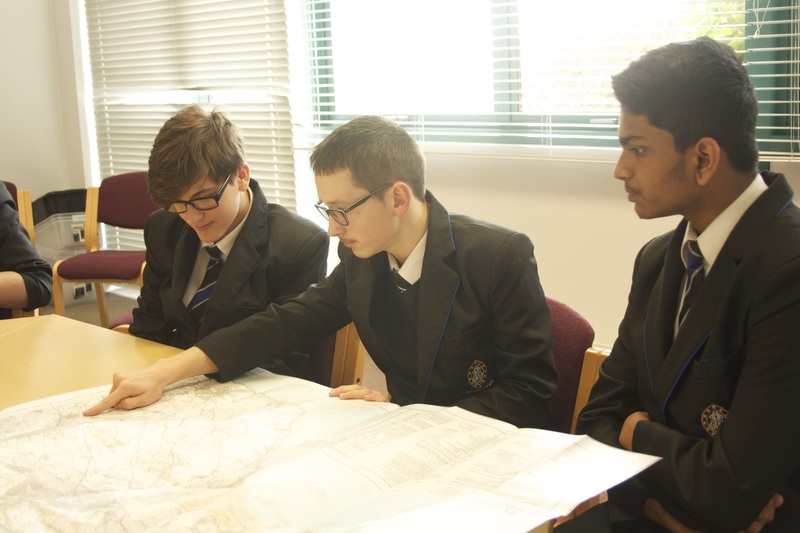 Mary Immaculate High School introduced the D of E programme to year 10 pupils as an optional extracurricular activity for the first time this term. The group of participating students will work towards their Bronze Award over a 9 month period, which will allow them to work on specific skills such as map reading and navigation, test and build their physical ability and show how they can work with the community around them in a positive way. The Award also involves an assessed expedition which will test all of the skills developed throughout the programme. Mary Immaculate pupils will carry out a practise weekend expedition in Llantrisant over the summer, and complete their final challenge in the Gower in September. 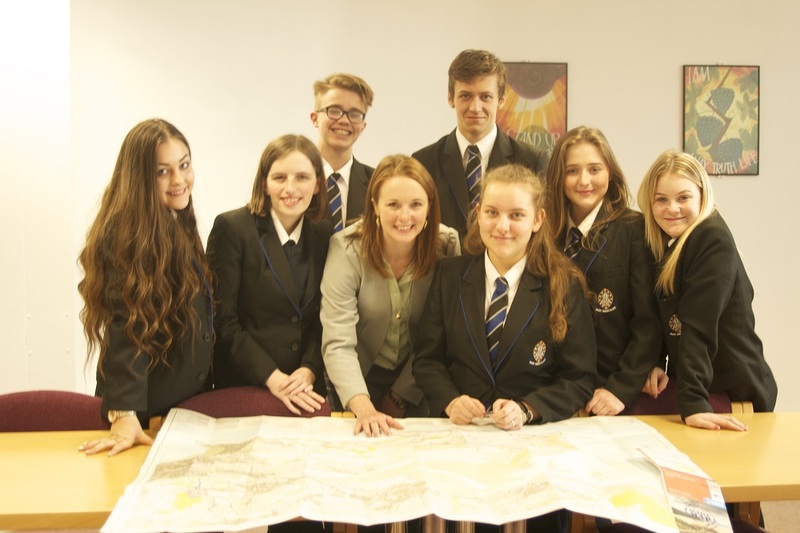 As well as sharing her own awe-inspiring stories of extreme adventure ascending Everest, ski-ing to the magnetic North Pole and cycling the length of New Zealand unsupported, Tori assured students that the D of E programme will offer them a host of opportunities to develop life skills and build confidence. She said: “The Duke of Edinburgh scheme helped me to realise what I was capable of and I know that it will have a huge positive impact on every student at Mary Immaculate High School who is about to embark on their Bronze D of E.
“As a School, we are very excited to be involved in the Duke of Edinburgh Award Scheme for the very first time. Not all learning takes place in the classroom and we feel this is a great opportunity for our pupils to broaden their horizons and challenge themselves in a different way. “Meeting Tori James was a real inspiration to all of us. Hearing her stories of her Everest ascent and expedition to the North Pole was fascinating and something that I’m sure our pupils will not forget. “Being part of the Duke of Edinburgh award, whilst I was at school, helped to build my confidence, made me realise my potential outside of a school environment and helped me build lifelong friendships. As a teacher this is an experience that I wanted to be able to give the pupils at Mary Immaculate the chance to have, and I am proud to say that our current participants have taken on the challenge with enthusiasm and commitment.